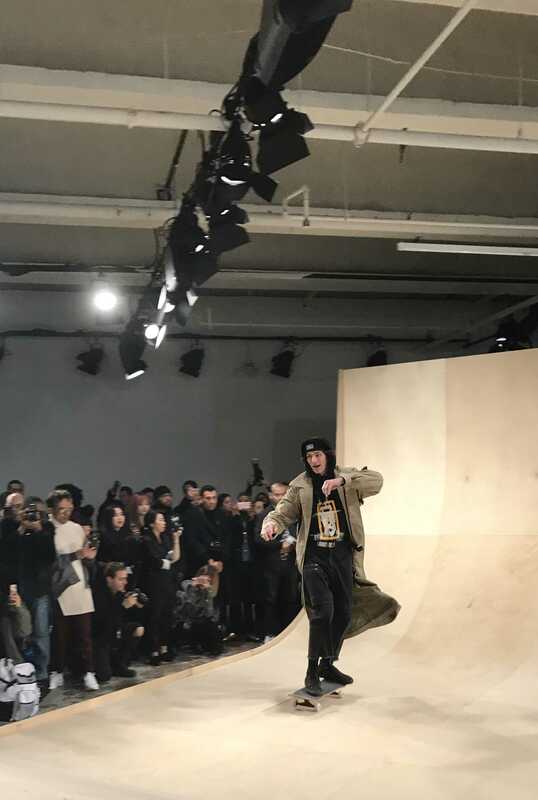 DJ and designer Steve Aoki married music and fashion in his skate-park suitable Fall/Winter 2017 Dim Mak Collection. 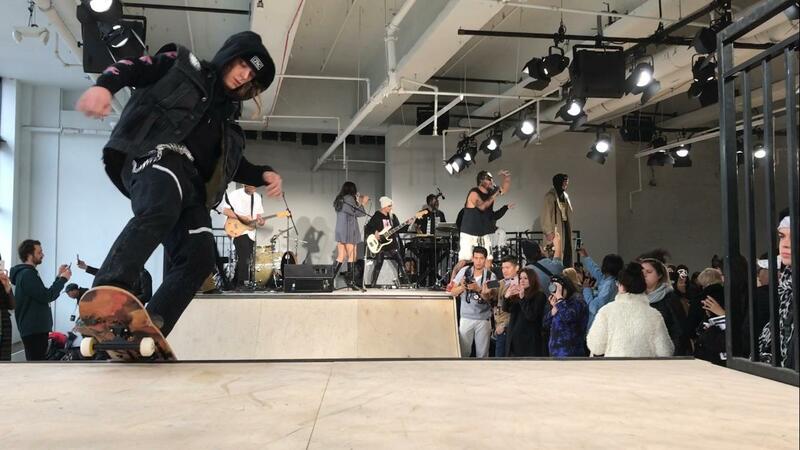 Aoki stayed true to the streetwear style he established for the previous four Dim Mak Collections. 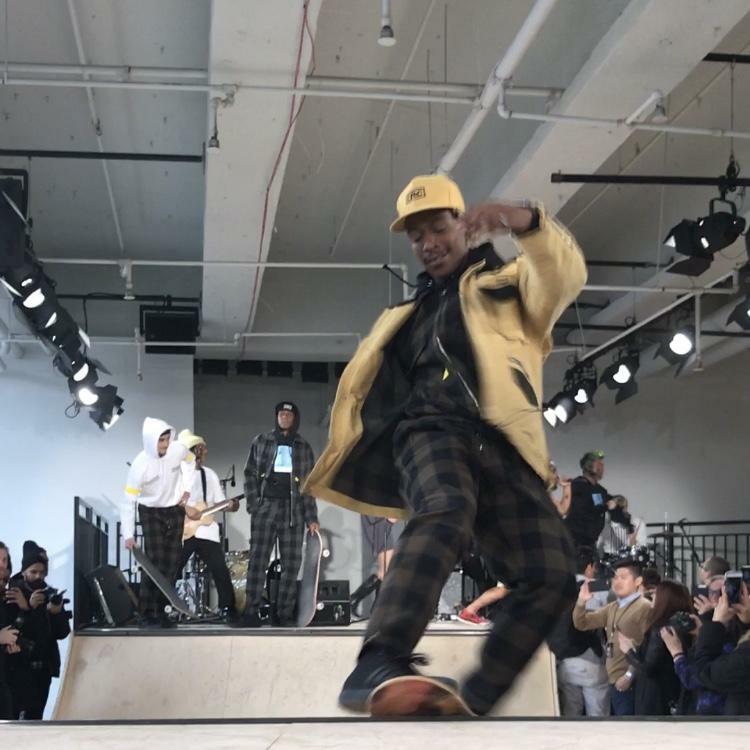 Skater-turned-models shredded down two temporary half-pipes, while the rock band Mangchi provided a raging soundscape. 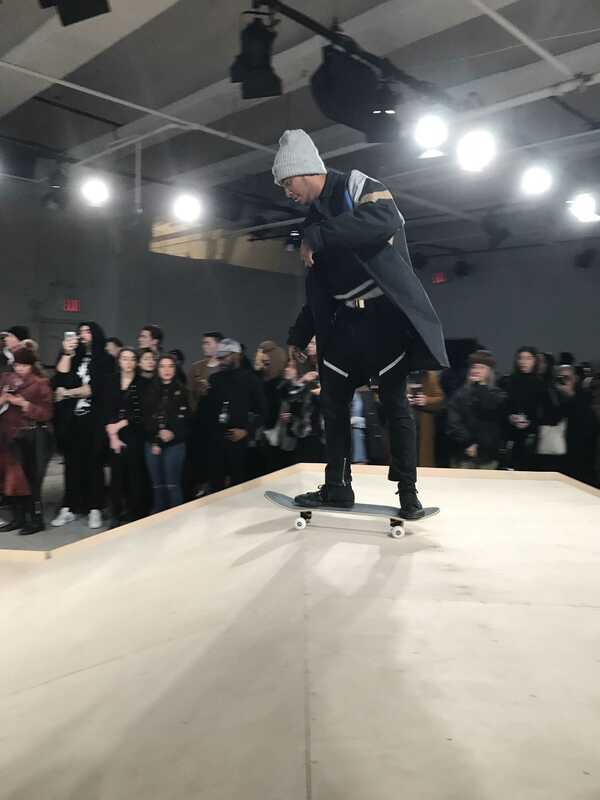 The presentation proved that the collection holds up to a skater’s standards. 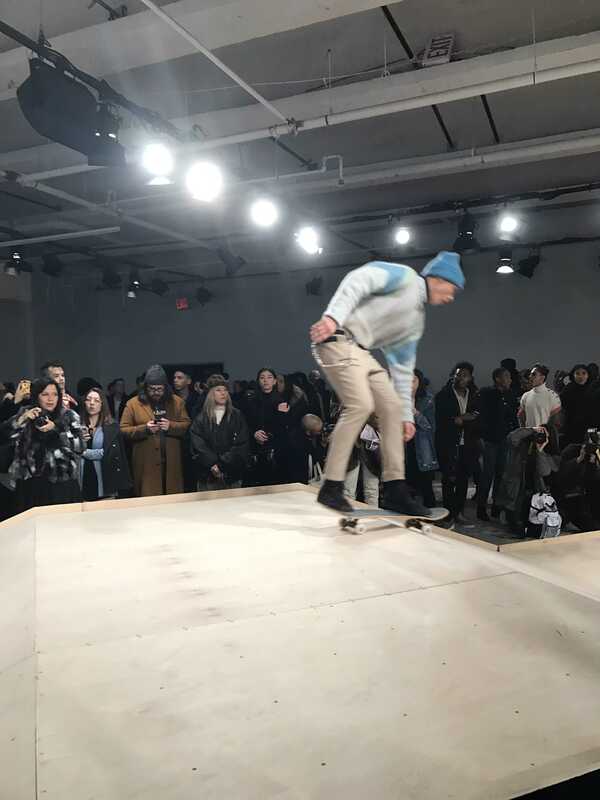 All of the skateboarding essentials were present — sweatshirts, beanies and various forms of denim. 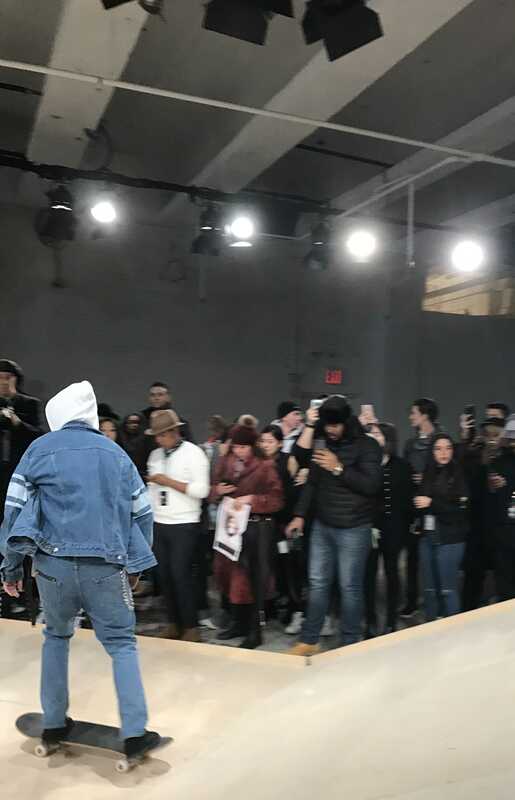 Hoodies and jackets were layered for an oversized, casual vibe, while pants stayed slim. 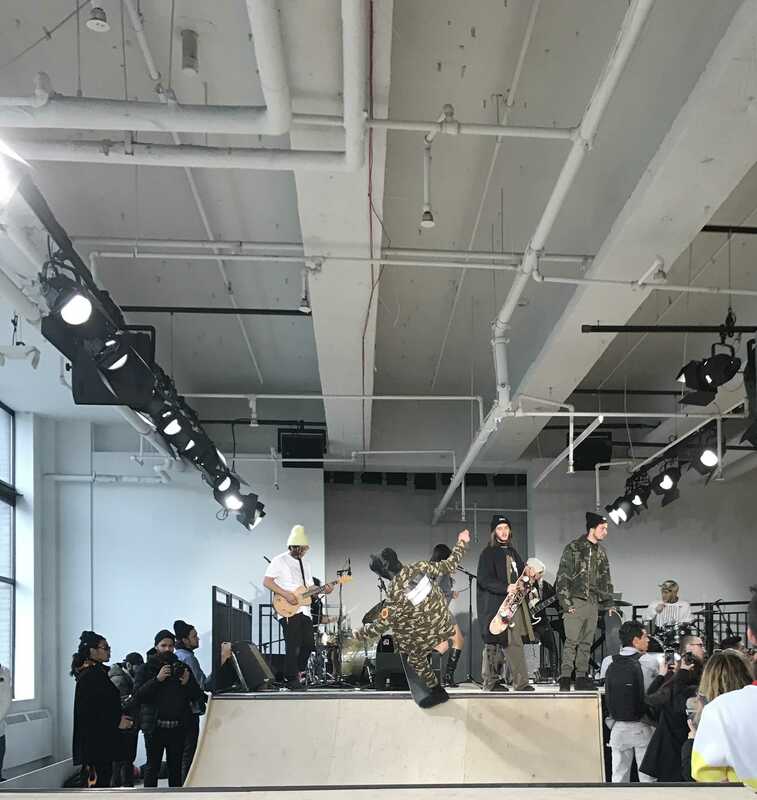 The color scheme ranged from pastel knits to army-green camouflage to black basics. While the colors may not have been cohesive, the overall aesthetic was consistent throughout. 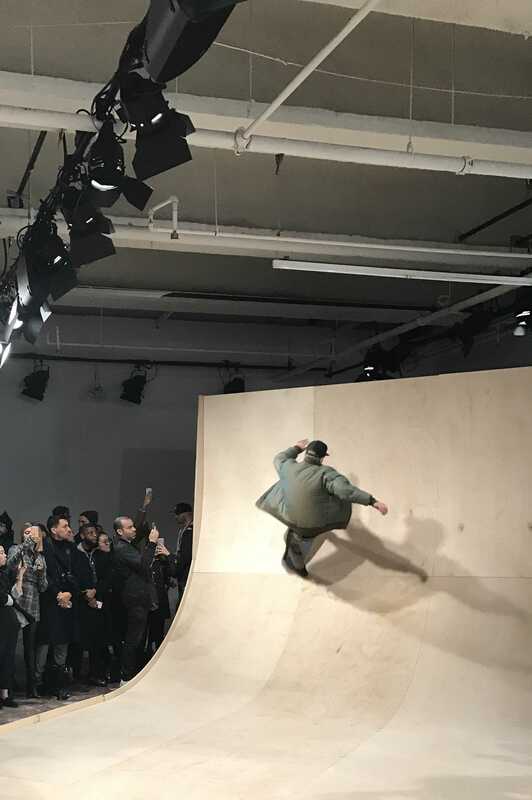 Even more tailored pieces like an extra long khaki trench coat with a bullet-wounded man on the back (done by artist David Choe) worn open to flow cape-like, seemed to fit in. 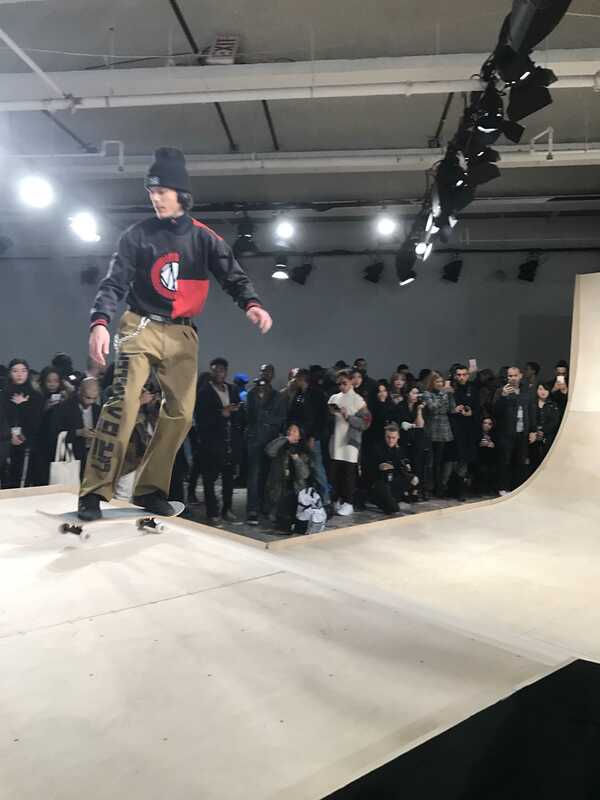 Sagging pants may have been cool for skaters in the 1990s, but not anymore. In Aoki’s collection, double belting and large silver buckles ensured that pants stayed where they belong. Perhaps the most intriguing part of the collection was that no two looks directly correlated. Each ensemble had a different focal point. Some had sporty stripes and some had colorblocking, while others had strong graphics or bold prints. 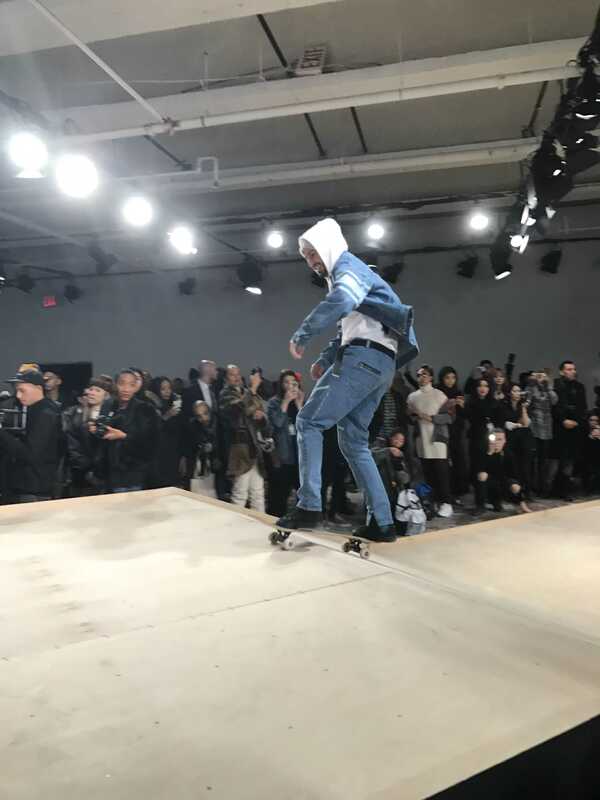 The variety of the collection meant that there was something for everyone.